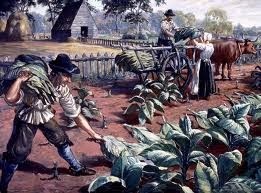 In 1626 the General Court passed an order forbidding any person who had purchased goods in Virginia to dispose of them at prices higher than he had paid for them, under a penalty of five hundred pounds of tobacco. In 1629, a second penalty was fixed representing three times the value of the article sold. In 1630, it was enacted that no one should be allowed to purchase imported merchandise, whether on board ship or ashore, unless he intended to apply it to his own use!